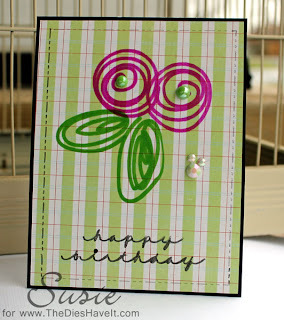 Here is the final card I did using my Silhouette Cameo to not only cut out my card.....but sketch it too. It's fun to use Sharpies - so many colors!! 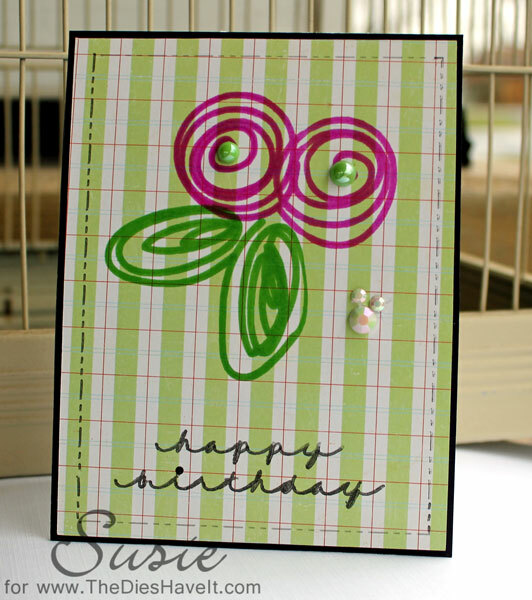 I used Cri-Kit products on this card, but have since had some bad customer service issues with them....so I can no longer recommend them to you. You can't see, but I am making a sad face. But not to worry - Silhouette has awesome pens for the Cameo and I am now stocked up on all their colors.